Creating a wild opportunity for Omaha families, right in their own backyards. Part of ParentSavvy's focus is to collaborate with other local, family based organizations whose visions are similar to ParentSavvy’s — to create wholesome and healthy family-friendly activities. 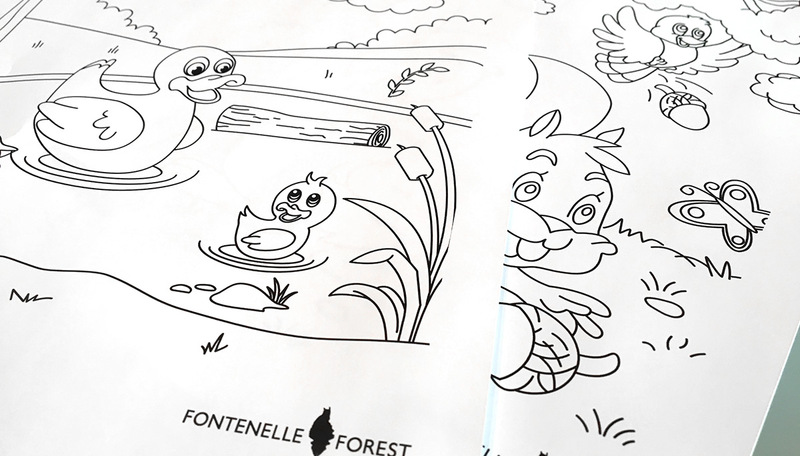 This vision eventually led to us reaching out to Fontenelle Forest and creating a branded program called Hands-On-Habitat. Hands-on-Habitat is an educational class for preschoolers and their parents that occurs monthly throughout the year. Hands-on-Habitat is free to families, but they still need to register to attend. 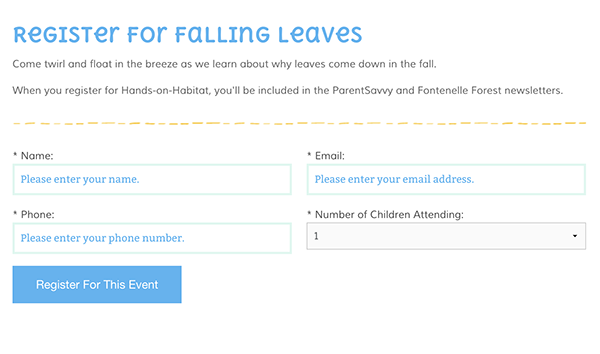 Registration also provides access to Fontenelle Forest for the day allowing parents and families to experience what they offer without a financial investment. If they enjoy the forest, registrants can purchase a family membership at a discounted rate. Because of the popularity of the program, we limit the class size and cap attendance to 3 times per year. This ensures each child gets individual attention and makes the program available to more families. To manage the registrations, Corporate 3 Design built an online registration system. This allows us to keep a close eye on the number of registrations and maintain a consistent "demand" by regulating the registration period for each class. To promote each month's event, the environmental educator from Fontenelle Forest writes a blog post discussing the previous month's class. This blog post is also shared on ParentSavvy's social media channels. Each event is staffed by a Corporate 3 Design team member representing ParentSavvy. 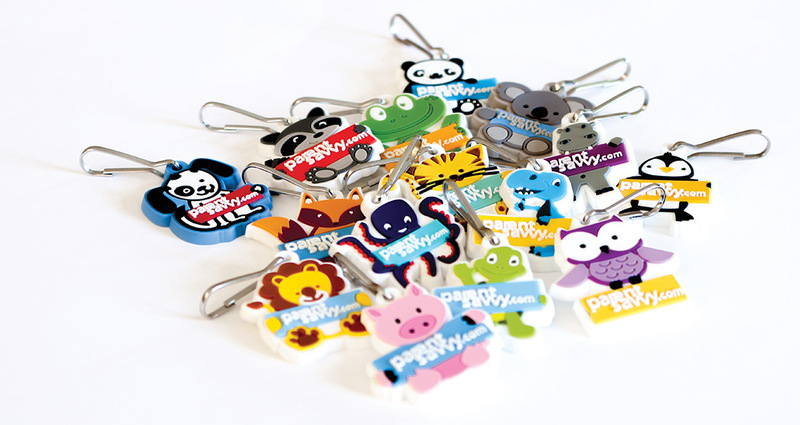 The ParentSavvy representative distributes collateral, takes photographs or videos, and posts to social media. Corporate 3 Design created a comprehensive collateral package for Hands-on-Habitat and ParentSavvy. Each class has a branded coloring sheet relating to that class' topic. Each attendee also receives a branded drawstring bag and an animal zipper pull. 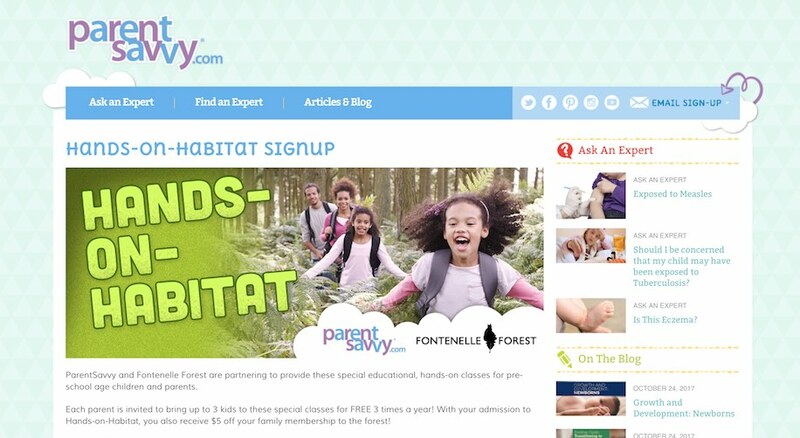 Through careful management of the community relationships involved in our program, Corporate 3 Design has created a valuable and sustainable event that generates new interest in both ParentSavvy and Fontenelle Forest. Ultimately, co-hosting this event helped improve credibility and awareness for ParentSavvy's brand. Managing the classroom size, number of times a family can visit and the registration window creates excitement, demand and multiple visits to the ParentSavvy.com website where parents are exposed to more content.